Yesterday when scrolling through my various social media i stumbled across the picture below, and there were many thoughts i had when i read the text. Maybe i am just reading too much into a picture with text. But also i know that many do need to lose weight and have that as a goal and maybe while trying to lose weight they aren’t eating as much as they’d like… i know that not everyone can eat alot. However what bothers me with this picture is that it makes it seem like all girls want is to lose weight…. or that all girls have as a goal is weight loss and all that matters is appearance. There are already far too many girls (and guys!) trying to lose weight when it isn’t even necessary or in some cases, not even healthy. And posts like this make it seem normal and ok. Make it seem like all girls want is to lose weight. No…. how about we encourage girls to be strong. To take up space. To love themselves no matter stomach rolls, stretch marks, cellulite or any other scars or normal bodily functions/appearance. There is far too much advertisement telling girls that they need to lose weight to be happy, that thigh gaps and a flat stomach is the most important thing. That is not true and from personal experience, weightloss won’t bring happiness. However for those who NEED to lose weight for health and/or medical reasons then the weightloss can make life easier and to feel better, but happiness and body love comes from the inside. Society needs to stop telling girls to lose weight and change themselves and instead tell girls to love themselves and focus on health, because that should be the main goal: Health. Health is both physical, mental, social health. Health is not a number on the scale or your BMI, health is so much more. But also lets not forget all the diet messages that are posted telling specifically girls about the latest trend and FAD diet. How to get a beach body and lose weight and that 1200 kcal is enough. You need to eat and it is ok to eat. Of course, we all need to know how much we can eat to maintain our healthy weight because as the body works, too many calories over time lead to weight gain (which doesn’t have to be a bad thing!). Somedays you can eat more and over time that balances itself out. Where am I going with this post? Well…. My goal is to inspire people to love themselves no matter shape or size. Doesn’t matter your weight, but as long as you are working on a healthy version of you! Also to inspire people to want to be healthy, to want to nourish their body right but to not be scared to eat different foods as well, and of course inspiring towards a more plant based diet and a vegan lifestyle! And of course to inspire girls to want to get stronger both physically and mentally, to feel strong and capable in life but also being strong has so many benefits in life which shouldn’t be forgotten about! I’m tired of diet culture and all the weightloss messages and new diets people jump on. 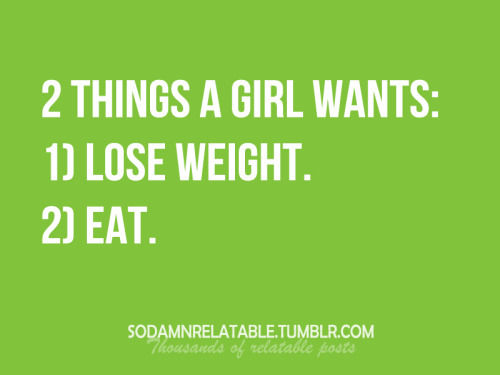 Not all girls want to lose weight. Many need to and want to gain weight and many want to get stronger and eat more! Many might need to or want to lose weight but my suggestion is to focus on overall health and what would make you the most balanced and healthy and sometimes losing that 5kg you think you need to lose will actually make you more unhealthy and/or unbalanced. I could write so much more about this topic as i have so many more thoughts, but i will leave it here, and instead ask what YOUR thoughts about the picture/text are. Next Post Why am I vegan? I agree – there is way too much emphasis placed on diet culture and the latest fad diets or low calorie foods. And the media doesn’t help either – browsing through the magazines at the shop this morning I noticed that every one either had some blurb on the front cover about how to loose x pounds in x days or had “unflattering” photos of celebraties in beach wear with derogratory comments written alongside. I went in the shop looking for something interesting to read, but instead I left with nothing. I am fed up with magazines spouting this nonsense but there are real people out there reading this rubbish that believe what the magazines print – no wonder EDs are on the increase. More emphasis should definitely be put on health and well ness, not your dress size. Schools and parents could do more for their children to educate them about body acceptance and how to be healthy. I think the picture and text is very true of how society in general views women – it would have us beleive that our main purpose in life is to loose weight/stay slim. But why has society got this image of women? And why does it continue to promote it ? I would hate to be a teenager growing up in todays society, the pressure on body image is enormous.